Morning Edition received an unprecedented number of requests for tapes of the day’s program. Billed as an “autobiographical confession of a penniless, gay, would-be soap opera writer” the 8-minute comic monologue recounts Sedaris’s time working as Crumpet the Elf at Macy’s Department Store at Herald Square in New York City. Rich with acerbic wit and cynicism, and read, in “the blasé tone of someone reading a train schedule,” the essay launched his career as a writer and humorist. Sedaris was discovered in Chicago, where he moved from North Carolina at age 27. Ira Glass, then working at WBEZ, heard him reading excerpts of his diaries to audiences and invited him to appear on his artsy radio show, The Wild Room. 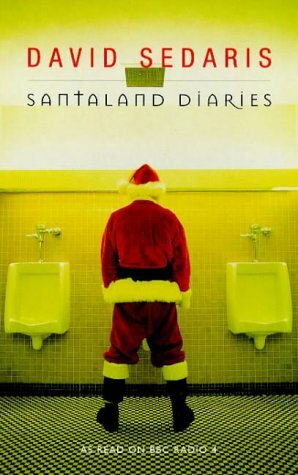 “The Santaland Diaries” was later published in the collections Barrel Fever (1994) and Holidays on Ice (1997). The essay, now a holiday classic, is read every December 23rd on Morning Edition. Sedaris won the Thurber Prize for American Humor in 2001 and continues to write essays for publication and for his devoted NPR audience. For more on North Carolina writers, check out the North Carolina Literary Trails from the N.C. Arts Council.